 A8 autoroute: the fast coastal highway connects Sophia Antipolis with many cities in Southern Europe. Barcelona, Milan, Marseilles, Genoa, Rome are just a few hours drive away.  The TGV-train: The high speed train TGV connects the region with Avignon, Lyon, Grenoble, Geneva. Paris is less than seven hours away. Click on each map, for a more detailed image or for printing! When in Sophia  how to find your way. Most people get lost in Sophia Antipolis. It's a fact no one denies. Even regular visitors to Sophia Antipolis fumble around in their hired cars in never ending series of look alike roundabouts. This is due to the character of the park – a logic consequence of the idea of a widespread campus in the pine-scented valleys at this very special part of the French Riviera, between the mouth of the Var River in the east and the Esterel mountains in the west. This area - no more than 25 by 20 square kilometers is blessed with a unique topography and vegetation consisting mostly of the characteristic parasol-shaped pine trees. This undulating landscape, where nature and not straight roads and square cut blocks has shaped the park. Maybe an analogy with the basic ideas behind Sophia where creativity cannot be planned, where new knowledge cannot be centralized. 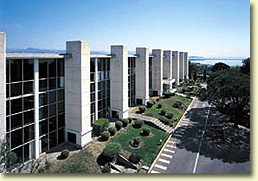 The Sophia Antipolis Science Park stretches over 5700 acres. The quality of the environment was seen as a priority as this aspect enhances the quality life at work. Two thirds of the area of the park are therefore maintained as green space and one third is devoted to activity, dwelling and recreational areas. In order to better accommodate new companies, the Science Park is set to increase in size to 11,000 acres while retaining its character as a protected area. 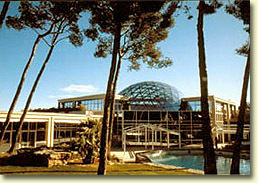 The Côte d´Azur, the European cultural, research and leisure capital, offers each year, events with a world-wide reputation, such as the Cannes Film Festival, the Jazz Festivals in Antibes /Juan les Pins and Nice. 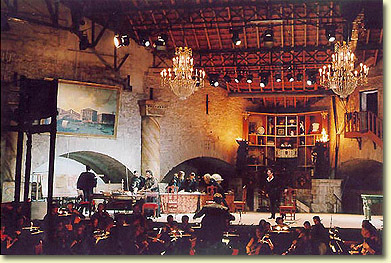 All year around there are open air concerts in squares, castles and other mediaeval buildings The Côte d´Azur has today more than 70 museums and some 100 art galleries.